Leather Supreme’s Men’s Charcoal Denim Cutoff Biker Shirts For Father’s Day!! Click here to see the latest men’s denim biker shirts now!! Good Monday morning everyone, I hope that everyone had great weekend and all. Now it is time to get back to the grind for us here at the office. I just wanted to stop by and display some really cool denim biker shirts for you all. I know with father’s day around the corner this upcoming weekend you might need a great gift idea for that special guy you are shopping for. As you can see above I have pulled one of our black twill cutoff denim shirts with a very popular patch on the back of it. 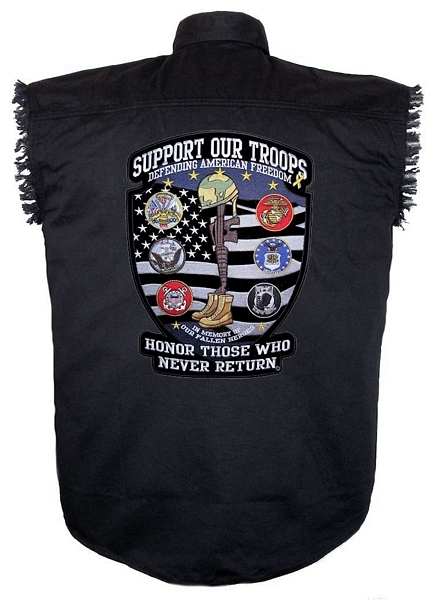 This particular one has a Support Our Troops patch on the back which is very symbolic to all served in our military. So if your dad was or is in the military this shirt might be something you are looking for. If not, again I have so many different patches that can be ironed on the back of either the charcoal or black twill style denim shirt. 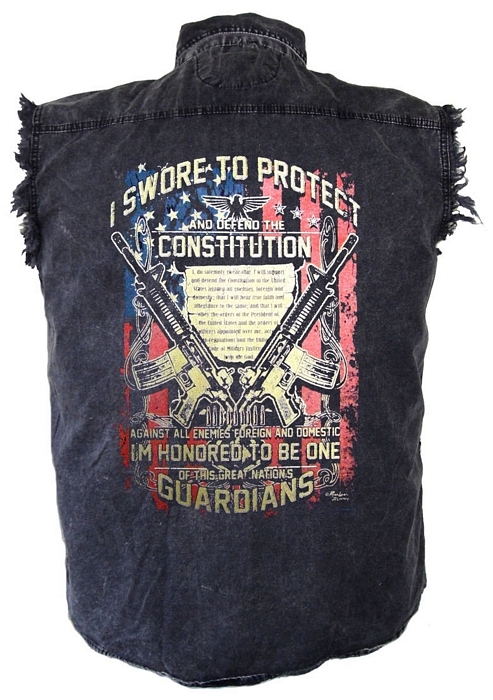 Continue reading Leather Supreme’s Men’s Charcoal Denim Cutoff Biker Shirts For Father’s Day! !